This entry was posted in AD&D Coverage on 10/19/2017 by Alejandra Vazquez. Since you were young, you have likely received encouragement from family and outside sources like teachers (and even the media and advertising) to pursue your dream career. Have you ever considered the actual risks of your chosen career? A desk job may come with a risk for carpal tunnel or lower back pain, but other careers carry high risks for contracting a dangerous disease, losing a limb, or dying. Voluntary accidental death insurance, or AD&D insurance, is separate from any coverage offered by your employer, and it’s a must-have if you work in any of these five careers. From logging to commercial fishing, outdoor jobs rank as some of the most dangerous in the country. Logging in particular is considered the single most deadly occupation, so most experienced loggers know to look for job that offers AD&D insurance benefits. However, taking out your own voluntary death benefit insurance is a good idea if you work as a camp counselor, landscaper, or backpacking guide as well. The risks of both serious illness and injury from outdoor careers make it very important to carry enough life and health insurance as well. When it comes to the construction industry, even managers and work site organizers are at high risk for injuries and death. This is because of the heavy equipment and huge machinery used on even basic construction sites. A crane collapse causes widespread injury, dismemberment, and death regardless of the job rank or description of the people on the site at the time. Exposure to the chemicals used in paints, adhesives, cleaning products, welding fumes, and other construction byproducts can also lead to long-term illnesses that are covered by critical illness insurance. Car and equipment repair work creates a much greater risk of injury and death than you might assume at first. A vehicle can always fall off of a lift while you’re working below it, or start while you’re wrist deep inside the fans. Losing even a finger can interfere with your ability to do your work, so it’s important to carry occupational accident insurance to help you transition into a new career path after an accident. It’s surprising, but data from the Bureau of Labor Statistics shows that even trash collection has a higher death and dismemberment risk than jobs commonly thought of as dangerous, such as police and security work. The risks of working around heavy machinery remain high regardless of the industry, but metal recycling and other trash management work involves particularly dangerous crushing and shredding equipment. AD&D insurance is often overlooked by employers in this industry, but employees can’t afford to overlook it in their own voluntary plans. Finally, industrial and manufacturing workers face the highest dismemberment risks of all industries and some of the highest death risks. 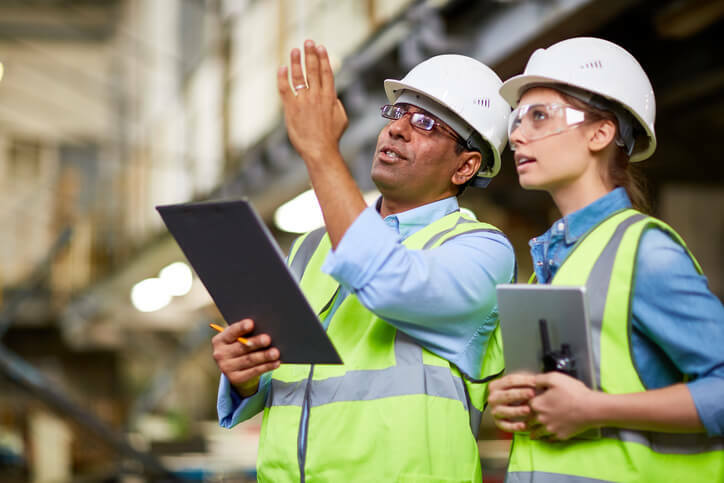 The sheer number of people handling the riskiest parts of manufacturing is on the decline, due to the use of robotics, but employees handling the necessary steps of manufacturing absolutely must protect themselves with accident insurance. Of course, a handful of office workers in the safest fields still end up facing serious accidents during work. Almost everyone can benefit from AD&D insurance, so get in touch with Freeway Insurance today by calling (800) 777-5620 or request a free AD&D insurance quote online.